QUICK JUMP: Contestants Pageant Information How to compete in Miss USA & Teen USA 1987? The Miss Teen USA 1987 pageant ended with Kristi Lynn Addis winning the title of Miss Teen USA 1987! Miss Teen USA 1987 took place at El Paso Civic Center, El Paso, Texas on July 21, 1987. Allison Barbeau-Diorio won Miss Congeniality. Angi Aylor and Raye Anne Johnson won Miss Photogenic. The Miss USA 1987 pageant ended with Michelle Royer winning the title of Miss USA 1987 and getting the opportunity to advance to the Miss Universe 1987 pageant! Lori Lynn Dickerson who won Miss Congeniality. Sophia Bowen who won Miss Photogenic. Kriston Gayle Killgore who won Best State Costume. 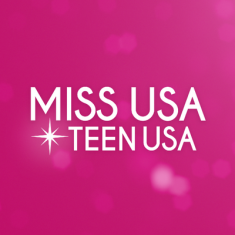 How to compete in Miss USA & Teen USA?